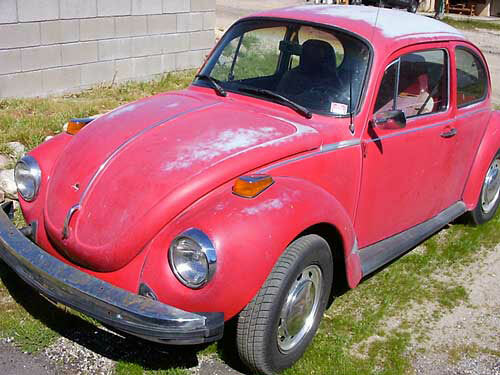 • The Super Beetle version of the Volkwagen has one drawback for off-road use: The MacPherson-Strut suspension (1971-75, and convertibles until 1979). All other Type I Bugs have Torsion-Arm suspension, which is more durable and adaptable. • The Super's suspension can be beefed up for light off-roading. 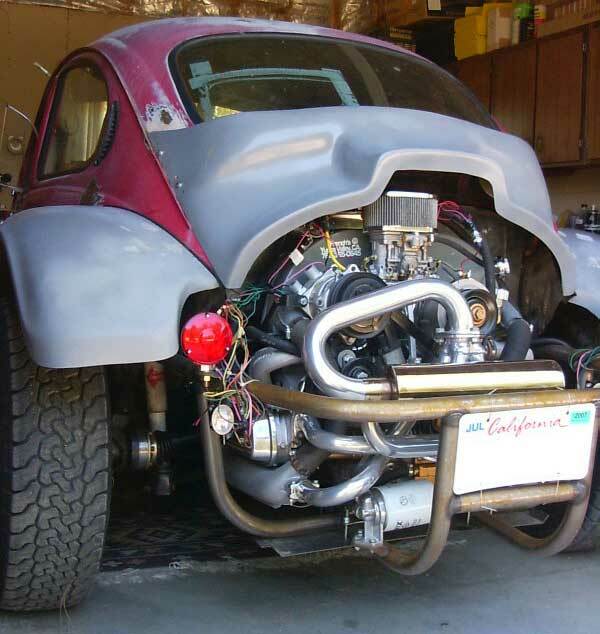 • Earlier VW Beetle models these days are valuable unmodified, or restored; they may not be the best choice for a Baja project. • Make the body/frame/suspension off-road equipped. • Rework the interior for comfort and function. 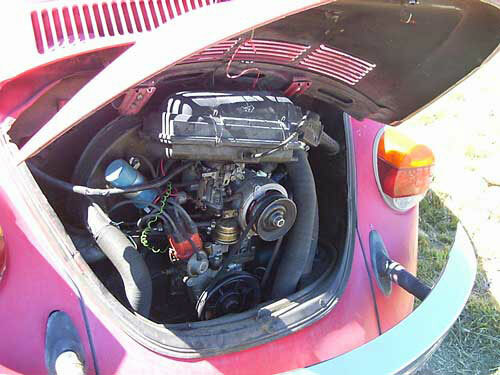 • Replace the 1600cc stock engine with a 2110cc powerplant; beefier transaxle geared for low end power and highway speeds. • Reinforce front end. Add sway bar and strut tie bar. The sway bar improves handling under cornering; the tie bar across the struts strengthens suspension. 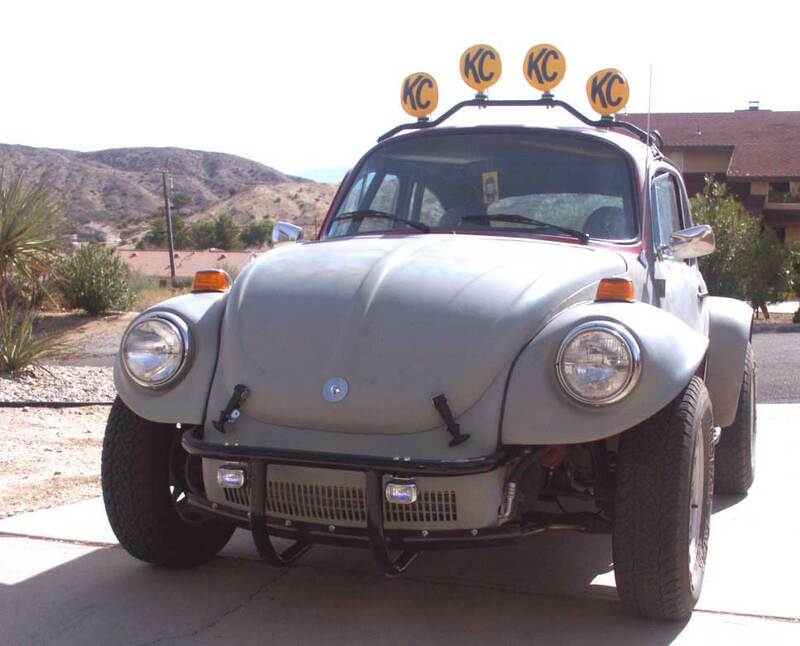 • Add KYB gas-charged shocks and replace bushings, ball joints, tie rods, and tie rod ends. • Add rebuilt steering box. Replace front drum brakes with disk brakes.